The day you get your licence will be a significant milestone in your life, statistically it can also be the day you will be most at risk. 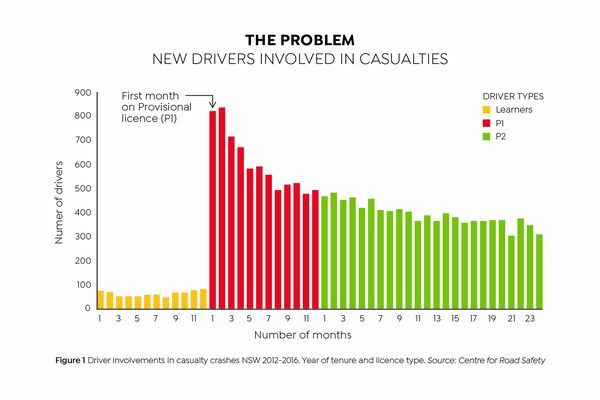 The potential of a road crash significantly increases the moment you successfully obtain your Provisional licence. To decrease this number, there are measures put in place including the Hazard Perception Test (HPT). The HPT is a computer touch screen test that measures your ability to recognise and respond to risky situations that can potentially occur. The test shows film clips of traffic situations, where you will be required to touch the screen when there is an action to be made in response to a potential hazard. For example, you would touch the screen when you are going to overtake, slow down or make a turn into a road. There are 15 film clips that you will need to respond to, and 2 additional practice questions before the test begins. From 20th November 2017, you will need to complete the Driving Test once you have passed the Hazard Perception Test. After this, you will get your P1 Licence. Find out more information about the new licence conditions from 20 November 2017. Want To Get 20 Logbook Hours + Be A Safe Driver In 5 Hours?